Hollybeary Creations : NND March Release Sneaks day 2!!! NND March Release Sneaks day 2!!! Happy Tuesday... It's Day two of the Newton's Nook Designs March Release Sneaks. 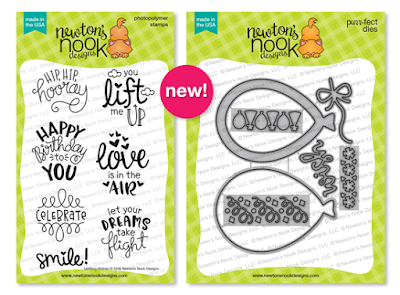 Today we are introducing the Uplifting Wishes stamp set and the Balloon Shaker Die set. 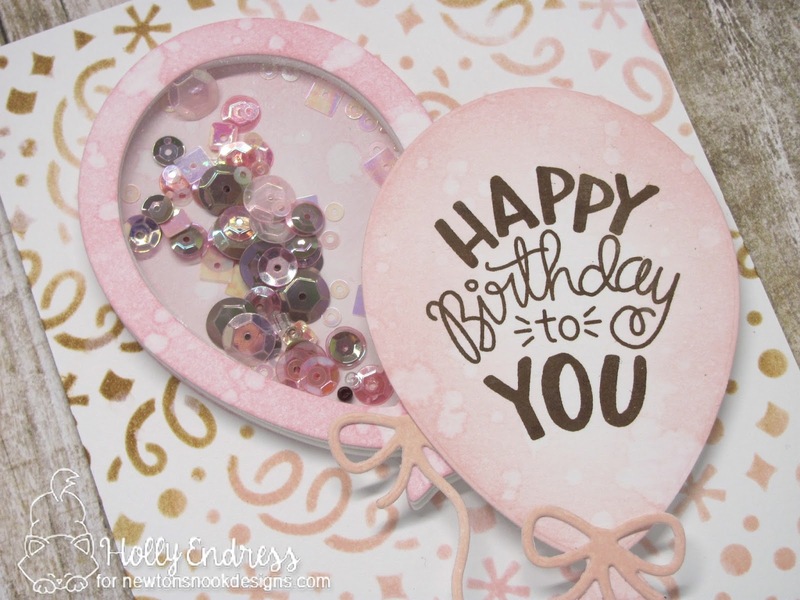 These are great to have in your collection and perfect for Birthday and other occasion cards. 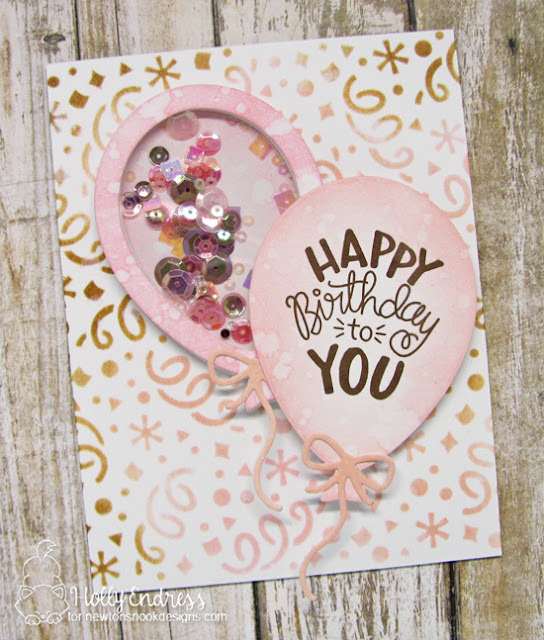 I created a fun Birthday card using the new Confetti stencil as the background with some Distress Inks in Spun Sugar, Vintage Photo, and Tattered Rose. I die cut the shaker Balloon from some Distress watercolor paper and then I added some Spun Sugar Distress ink and created the shaker and filled it with a Little Things from Lucy Sequin Mix. I die cut a second balloon and added some more Distress Ink and stamped the sentiment using Vintage Photo Distress Oxide ink. I adhered the shaker balloon directly to the background and then I added several layers of foam tape to the back of the sentiment balloon so it would be the same height. Love how those soft and pretty colors stay together!!! Adorable card!!! No card is better for a birthday celebration than a shaker card ! I love the goldish brown you've added to make the pink pop-up. Lovely card Holly!!! A perfect color scheme. Love your "ombre" style background! Love that soft pink color palette! So sweet and pretty! Pretty and festive with the balloon shaker. I just love the shaker card. So cute. So very pretty in pink; I love this! I really love how you put this all together! Beautiful card and color choice. Thanks for sharing your creativity! Shaker cards are my favorite! They just make me smile! Love the new balloon die. The pink and brown colour combo is fab on this card. Fantastic card! I love the stenciled background! That’s an awesome shaker card !! your shaker is awesome!!! the background is so beautiful!